This is another project I worked on over the weekend. It isn’t quite finished yet. I need to either ink it or pencil it because it’s too small for me to paint the details. Maybe somebody else could, but my hand isn’t quite as steady as it used to be. "Squid Girl" - mixed media on watercolor paper - 6x9"
I tried to make the squid iridescent, but it’s a bit more difficult than I had imagined. 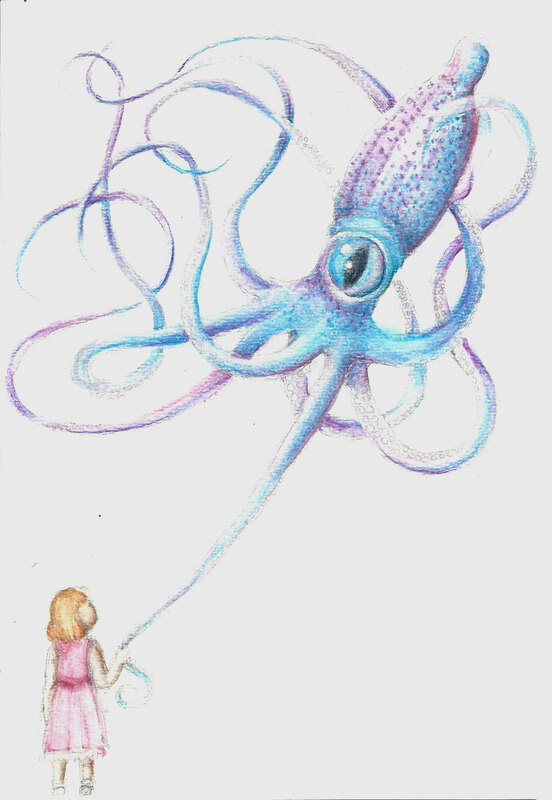 This entry was posted in painting and tagged Arts, drawing, mixed media, paint, postaday2011, Squid, Visual Arts, Work in Progress. Bookmark the permalink.